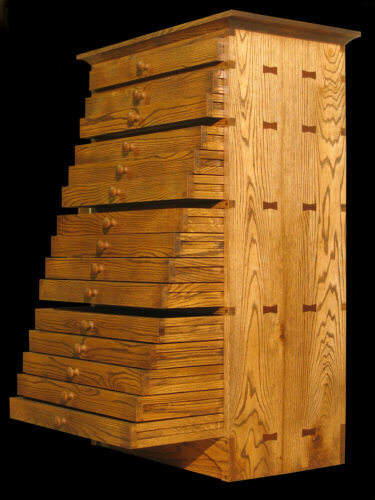 This 15-drawer jewelry chest was made to hold a large jewelry collection. 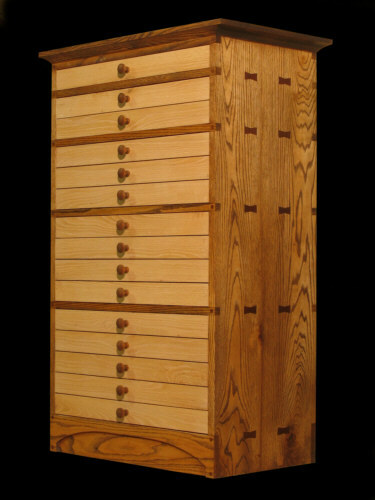 Each drawer is supported and glides smoothly on hand-made cherry drawer slides. 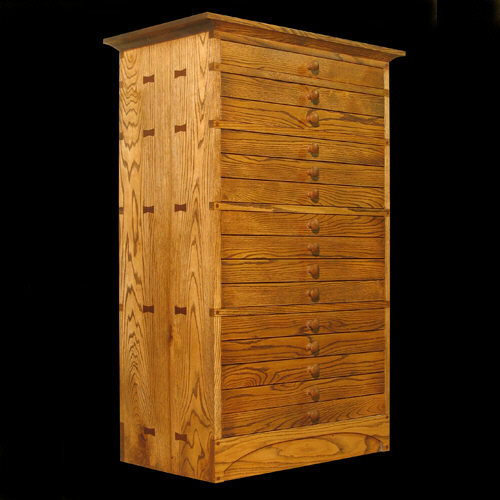 Construction is of solid American red oak inside and out. 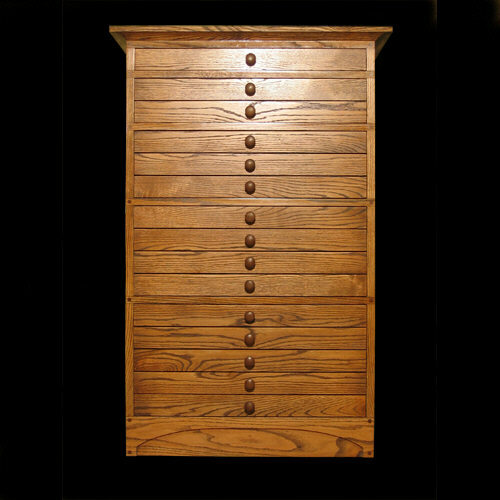 Many other woods ae available..
Drawer- pulls are hand turned mahogany. 25" W x 15" D x 1 7/8" H.
Copyright ©2009- 2012 Stan Pike Designs.